Energy businesses that manage to incorporate total social impact into their activities, products, services, and communication to customers and employees, will have the best premises for future business growth – and for contributing to a better world. Inspired by the grocery industry in the U.S. and how attractive organic production and fair-trade food have become, Smart Innovation Norway has explored ways to implement total social impact into the energy sector and our projects – with respect to exploitation and building business plans. Looking into the EU Horizon 2020 INVADE project, which envisions a cloud-based ICT platform that through integration with EVs and batteries enables storage services at various levels in the distribution grid (mobile, distributed and centralized), we found that total social impact should be incorporated within many layers of the project. This is important for the future success of implementing the INVADE solution. Many of the project partners have already incorporated total social impact strategies in their businesses. 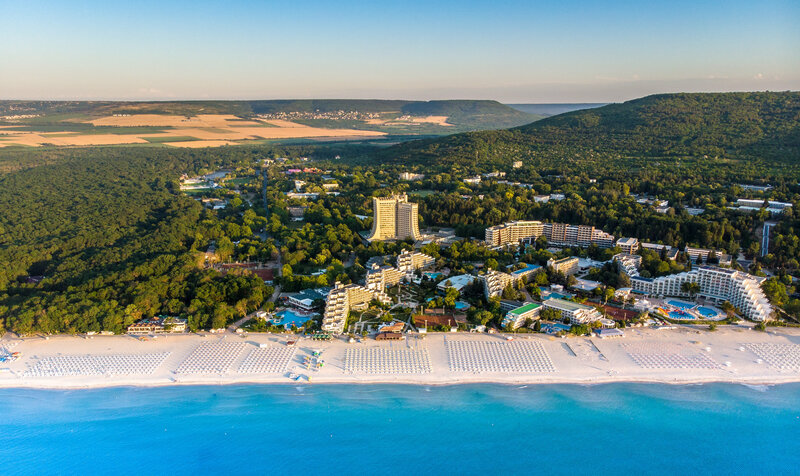 For instance, the INVADE pilot Albena Group in Varna, Bulgaria, is a hotel chain which promotes themselves with renewable energy, using the flexibility platform offered by INVADE, but also by producing organic food of their own. This makes the hotel chain more attractive to visitors. However, one must be aware of inconsistencies. If a company tries to implement total social impact by “greenwashing” its image, but at the same time carries activities that are not totally compatible with the green image, this could have a contradictory effect. Let’s say if a hotel chain company would be using the flexibility platform and selling organic food, but at the same time underpaying its employees, this could give negative impact to visitors. Or, if a company promotes itself with EV charging and infrastructure, but at the same time the top management of the company drives diesel cars, this would not be compatible in the eyes of some customers. Thus, total social impact is about the whole picture, all the activities, the core strategy of the company, about incorporating a sustainability image and communicating this image to the end customers. Discussing examples from several industries and how INVADE incorporates the total social impact strategy towards its business model, its core technologies and across partners, we can come up with specific recommendations to the following: How should a total social impact strategy best be fitted into an energy company’s business? Our statement is that an energy business that manages to incorporate total social impact in all its activities, products, services, communication to customers and in the eyes of its employees and managers, will have the best premises for future business growth and for contributing to a better world, as well as better sustainability options for its customers. Looking to the INVADE project partners, we see evidence that supports our thesis. Lyse, a multi-utility company with energy-related services such as EV charging, PV and battery solutions, distributed energy and management of such as its core business, including all the elements of traditional “smart homes”, has integrated total social impact into the products and services they offer by ensuring strong privacy measures around the data that is acquired. Lyse also manages to communicate the innovative sustainability measures that they are taking to their customers. The Albena hotel chain in Bulgaria (see image above), as mentioned, makes a good example of how incorporating a flexibility platform and social value creation into the hotel chain’s business strategy can promote the company’s popularity and bring economic prosperity. Their focus on locally grown, ecological food served in all restaurants and hotels during the tourist season, their pursuit of renewable energy solutions and forest preservation creates a solid base for sustainable tourism and social responsibility-driven business development. A third example is the strategy of technology company Schneider Electric, which is getting more and more considerate about social impact values, trying to fit their business model so that it better incorporates those. The company has declared that they aim to use their products to develop sustainable energy resources, assure gender balance and a high degree of governance. Thus, the social responsibility philosophy has become an integrated part of their products. We have seen that being considerate about social responsibility has a strong impact on the energy businesses. In particular, we have seen how relevant it is for INVADE with respect to developing a solution that considers total responsibility issues, as well as running the solution in the future and being sure that it will contribute to a better society. There should be a good understanding of the current position of the business and a vision for further development. There should be solid arguments why social responsibility is important for the energy business. It could be very beneficial for the energy business to have partnerships with other businesses that are in the sustainability field. There should be goals and metrics that can be compared in the future, so that you know you have the desired impact. Finally, it is important to communicate effectively to the customers and to make sure that the measures taken are compatible with what the customer expects. These recommendations are directed to companies in the energy domain that wish to ensure company longevity and contribute to good growth in the future.